It's spring and time to start planting the garden! But please note the local frost date for your area. In Southwest Tennessee, it's April 15th which seems crazy when there are gorgeous days in March but guess what-- it was actually predicted to hit freezing last Saturday night. Which means on April 7 IN THE SOUTH there were snowflakes on my weather app. Again, mind your local frost date just to be safe. As a beekeeper and gardener, I often get the question about what to plant for bees. Read about how digging in the soil can make you happier. In a previous post, I recommended planting a pollinator garden as another way to help our buzzing friends. If that's how you choose to be part of the solution you may be wondering what to plant that would most benefit the bees in your area. Here are some tips to help you get started once you have decided to make part of your yard, garden, or balcony a friendlier space for bees. 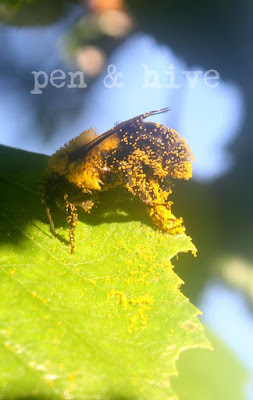 Read about a day in a bee's life. 2. 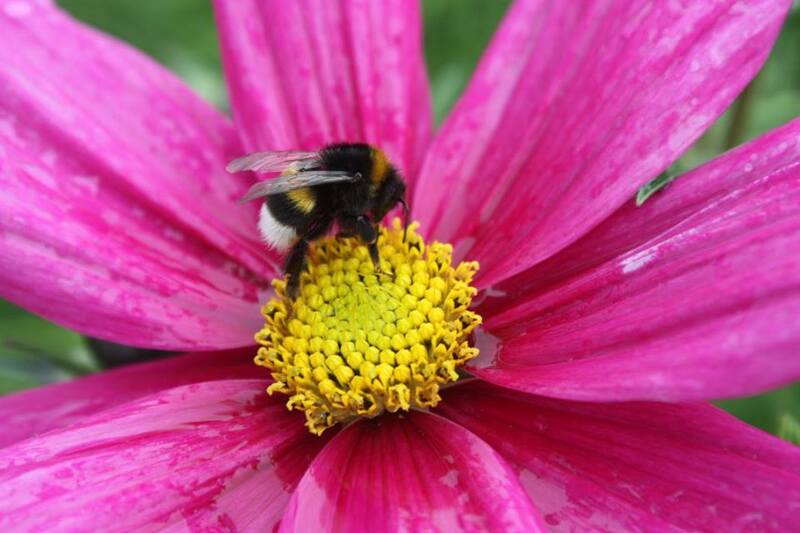 Plant flowers that have one large blossom so that the hefty bumblebee can land on it securely. Think of sunflowers, zinnias, rudbeckia. And plants that have tiny flowers for small bees. I like lamb's ear and salvia. 3. Plant plants that have hollow stems. Many varieties of native bees are solitary and nest in holes in the ground or in hollow stems of plants. All of the brambly canes like raspberry and blackberry are wonderful choices along with many types of ornamental grasses. 4. Plant types of flowers in big patches. This helps increase the bees' foraging efficiency. 5. Use low maintenance plants. The less we disturb a pollinator garden the better. This is not the place for plants that need deadheading and pruning. My favorites are bee balm, coreopsis, and many types of herbs like oregano. 6. Plant for consistent bloom. As soon as bees emerge in the spring they need nectar. After the big blooming season of spring and early there can be a dearth of flowering plants. Add things that bloom in late summer and early fall. Where I live narcissus, forsythia, and apples bloom very early. My absolute favorite for late summer to early fall is garlic chives which have white blossoms and do a wonderful job of providing nectar in that late summer dearth. 7. Plant flowers that have single blossoms. Many of the big showy double blossomed hybrids cultivated for enjoyment in the garden have little or no nectar for bees. 8. Garden, don't landscape. Don't mulch or use weed barrier everywhere. 70 % of native bees nest underground. 9. Don't use chemicals. Even if you end up with a few weeds it's okay, they are bee friendly. Bees actually suffer when weeds are completely eradicated. 10. Leave stalks standing to overwinter. For those bees that like to nest in hollow-stemmed plants, it's important to leave them a place to hibernate and nest next spring. With the loss of native habitat to bees happening all over the world, it is more important than ever to garden with them in mind. Planting one or all of these plants is a great way to help them in their time of need whether you are doing it in a spacious backyard or in a container on your apartment balcony, every pollinator-friendly plant matters now. (and you know, saving the world) Y'all!